Duplicate files on your device is equal to digital junk accumulated for no good reason. These similar files accumulate on your device over time due to various reasons. It not only occupies precious storage space but also affects device speed and performance negatively. Let’s discuss more duplicate files and how to remove them. How Duplicate files accumulate on your device: Duplicate files in the form of identical images, videos, audio files, music files, documents and other files accumulate in large numbers over time on your device. It occupies lot of storage space for no good reasons. Let’s understand why duplicate files accumulate on your device. • When you restore your data, it might have copied or back up twice or more times. • When somebody shares same data with you for more than one time. • Downloading same file multiple times. • When cache images or thumbnails are created by media apps. 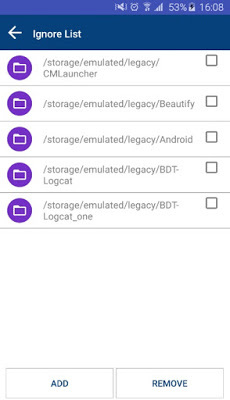 Benefits of removing duplicate files from your system: The first benefit of removing duplicate files from your device is, it helps you recover lots of storage space effortlessly. Let’s have a look at some of these benefits. More Storage Space: This is the most useful benefit of removing unnecessary identical files from your device. It will simply help you recover lot of storage space without much hustle. This way you can store more important files on your device. Improved performance: Additional space recovered by removing similar files will help you improve device performance. When you remove unnecessary apps or files or programs they don’t run further in background or occupy space thus it offers more RAM space to run device smoother. Reduce search time: When you get rid of this digital trash it helps you improve search time of files. Here, your system need not take duplicate files in the loop when searching for a file of your purpose. Better management of data: De-duplication of files help you manage your data on your device in much better way. This way you can access more space to manage more files effortlessly. How to remove duplicate files? Manual process: To remove duplicate files manually, you can first sift through all files on your device to find similar and exact looking files then you can simply delete them or backup them. Though this process is quite cumbersome and time-consuming. Use App: This is swifter and more effective way to clean all identical data from your device. You can use best duplicate files finder tools to search and remove all such data automatically. These apps find and remove identical files even from the remotest corners of your device. These tools use advanced algorithms and smart techniques to clean your device. Let’s discuss one such tool called Duplicate Files Fixer which offers numerous useful features. 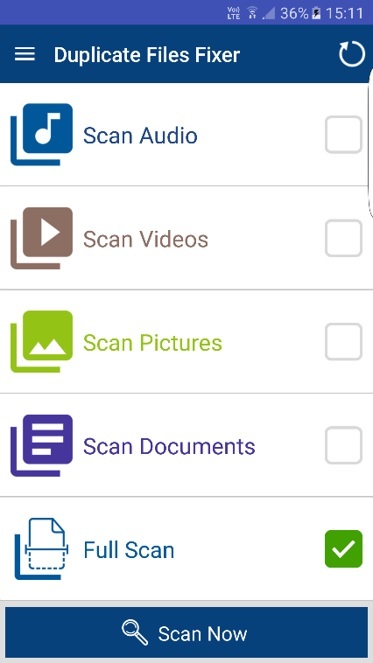 Multiple Scan Options: App offers multiple scan modes to select from. You can select any specific folder (audio, videos, pictures or documents) or select full scan mode. 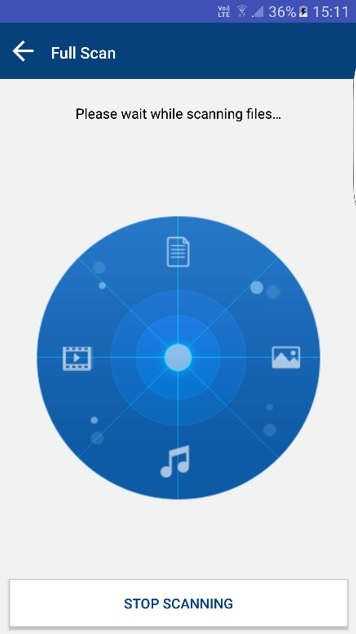 In both, the cases app will offer quick or deep scan of your device. Quick Scan Process: App is designed to deliver instant and accurate results. It uses advanced algorithms to de-duplicate your device effectively. Detailed Scan Results: Scan results are displayed in a detailed manner in groups. You can select any of the files from results and delete or backup them. Alternatively, you can backup files on Cloud servers using “Right Backup” tool. Unmark Shortest File Location: This is useful feature of the app. It allows you to unmark those files from the group which exists at the shortest file location. It helps you quickly retrieve the important data. Ignore list: Use this feature to add or remove any file to Ignore list. It will remove selected file from the scanning process. 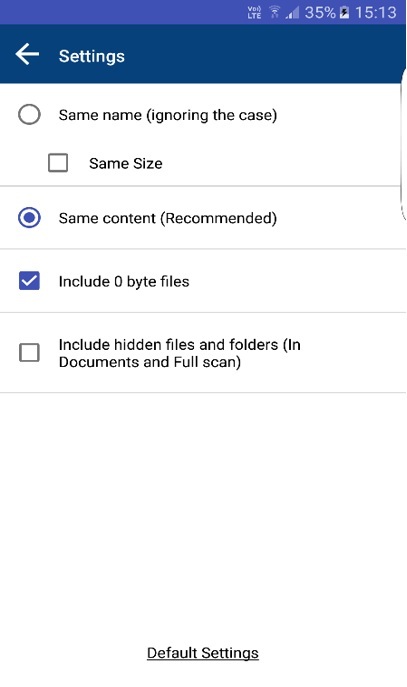 Scan Filters: App offers multiple scan filters like same name, same size, and same content. 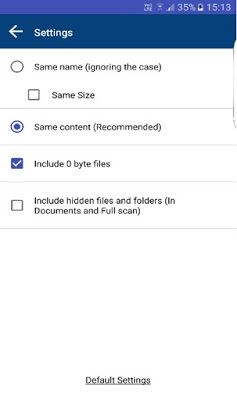 It also allows you to add 0-byte files, hidden files & folders in the scanning process. Others: It supports multiple language options and offers two different intuitive themes. Removing duplicate files from your device helps you recover storage space and improve your device speed and performance instantly. Using duplicate file finder tools help you reduce your efforts and save time to de-duplicate your device. 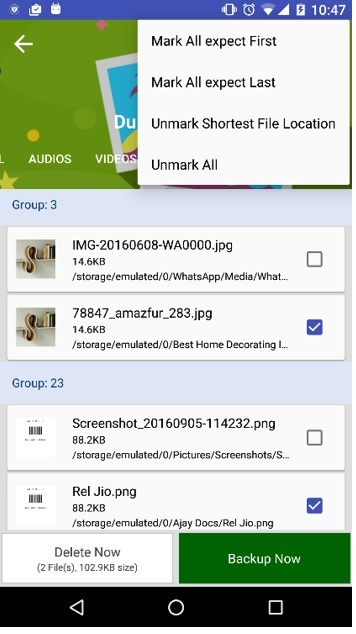 Thus, we suggest apps like Duplicate Files Fixer to remove all identical files from your device effortlessly.